You'll be asked to name a number of fiduciaries when you set up your estate plan, and one of these is your personal representative. This individual is more commonly called an executor or -- if the person serving is a female -- an executrix. The term administrator is also used in some states, but while the duties and responsibilities of an administrator are virtually identical to those of a personal representative or executor, an administrator commonly settles intestate estates. These are estates where the decedent died without a will, left a will without naming a personal representative, or the individual he chose is unable or unwilling to serve for some reason. The court will appoint an administrator to handle probate of the estate in these situations. Ideally, you'll name a personal representative in your last will and testament, and that individual will be able and willing to serve when the time comes. But otherwise, you can avoid having the court appoint an administrator by also naming one or more backups in case your first choice isn't available to serve. Of course, you should always check with your first choice as well to make sure he's willing to take on the responsibility of settling your estate, which can be considerable. Locating and safeguarding your probate assets: These assets are property that has no other way of passing to a living individual. Life insurance and certain retirement accounts with beneficiary designations pass directly to beneficiaries by operation of law, so they would not be included in your probate estate. 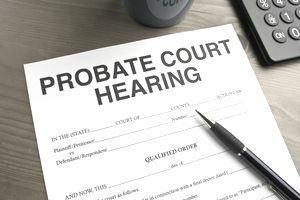 Obtaining date of death values for your probate assets: This might include ordering appraisals of things like real estate and business interests. Obtaining date of death values for non-probate assets: If it appears that your estate will owe estate taxes, values for these assets must be set as well. As of 2018, only gross estates with values of more than $5.6 million are subject to federal estate taxes, but some states also impose estate taxes. Your gross taxable estate is the total value of all you own, both probate assets and property that pass directly to a living beneficiary. Identifying your creditors and paying off your debts: This typically includes running newspaper notices to alert all companies and individuals to whom you might owe money that you have died. They can then make claims to the estate for what they're owed. Your personal representative should also send written notices directly to all creditors she can identify and locate. Preparing and filing tax returns: This will include your final personal income tax returns for the last year of your life, both federal and state, if applicable. If your estate is significantly large or your state imposes estate taxes, your personal representative will also prepare the estate tax returns. Paying the ongoing expenses of administering your estate: Your debts, taxes and the operating expenses of your estate must be paid before probate closes. This might require that your personal representative sell or liquidate assets to raise the cash. Distributing the balance of your estate to your beneficiaries: This typically requires filing one or more documents with the probate court first, including a list of the estate's probate assets and their values, as well as an accounting of all debts, taxes, and expenses paid. As you can see, serving as a personal representative can be a huge responsibility and is often a time-consuming burden. You should be able to choose the right person or institution for the job with the help of your estate planning attorney.